The Maryland Transit Administration (MTA) today launched My MTA Tracker for Bus, a GPS-based system that enables customers to determine the estimated arrival time of their Local Bus via computer, tablet, smartphone and standard phone. MyMTAtracker.com also offers easy access to the existing MARC Tracker and the Light Rail Tracker, which was launched last year. Customers can take advantage of the convenient new bus-tracking system as MTA focus groups begin a 100-day testing period of the technology to help identify any issues and improve the program. My MTA Tracker for Bus uses global positioning systems already installed on MTA buses to predict their arrival time at specific stops and routes. 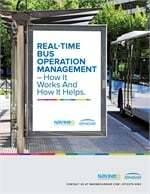 MTA engineers worked for more than one year to develop this technology by creating compatibility between state-of-the-art software and three separate operator logon systems currently utilized in MTA buses. While the tracking system has been thoroughly tested by the MTA development team, launching the tracker in beta form allows the MTA to iron out challenges that will only become apparent in actual use of the program. The beta test includes focus groups made up of MTA employees, bus customers and others who will test the system throughout the 100-day test period. Customers can learn how to use the next-arrival system through a convenient “how to” video which is available on the MyMTA Tracker for Bus webpage. Smartphone: Customers can log onto MyMTAtracker.com via their smartphone. With information displayed in an easy-to-read format, My MTA Tracker for Bus allows smartphone users quick access to recent searches through the “My Profile” function. The program also allows users to “star” their stop locations for addition to their “Favorite Locations” list. Computer/Tablet: Once on MyMTAtracker.com, customers are guided through easy-to-follow dropdown menus to find and input their bus stop number to track the current location of their vehicle and its estimated arrival time. Bus stop numbers have been posted at more than 5,600bus stops throughout MTA’s service area. Text & Email Alerts: My MTA Tracker for Bus allows customers to receive text and email alerts on certain buses at specified times throughout the day. To sign up for these alerts, customers can click on the eNotifications icon on MyMTAtrackeralerts.mta.maryland.gov/. E-notifications can be pre-set to allow users to receive notifications for their particular route at specified times during the day, via text directly to any mobile phone, or by email via computer, tablet and smartphone. Applicable text rates and speed of transmission vary by carrier. Standard Phone: Customers can enjoy the benefits of My MTA Tracker for Bus by calling MTA’s Transit Information Contact Center 24/7 at 410-539-5000. Customer service agents or an Interactive Voice Response (IVR) system will provide an estimated bus arrival time.